Become a leading physical therapist with The Cancer Center of America or Andrews Institute for Orthopaedics and Sports Medicine. I plan to attend Florida A&M University. Helping others, simple as that. What’re you watching on Netflix right now? The Blacklist and I encouraged anyone and everyone to watch because it is really good. If you could have dinner with one person – dead or alive- who would it be? I would have Chinese food with my dad. We would talk about everything under the sun and even though he was probably watching we would talk about everything I ever been through and everything I felt. I would ask him what his favorite things to do and go and just get to know him. How hard you fall is how hard you should get up. Tia was inducted into Distinguish Young Ladies of America INC. Photos courtesy of Tia Huie. Tia cheered her freshman and sophomore year on the Godby Varsity Cheer Squad. Photos courtesy of Tia Huie. You’d always see Tia buzzing the sidelines of Cox stadium as she severed as an athletic trainer her sophomore-senior year for football and wrestling. Photos courtesy of Tia Huie. After winning Sophomore Homecoming Princess to Junior Prom Princess, Tia is voted Homecoming Queen her senior year. Photos courtesy of Tia Huie. 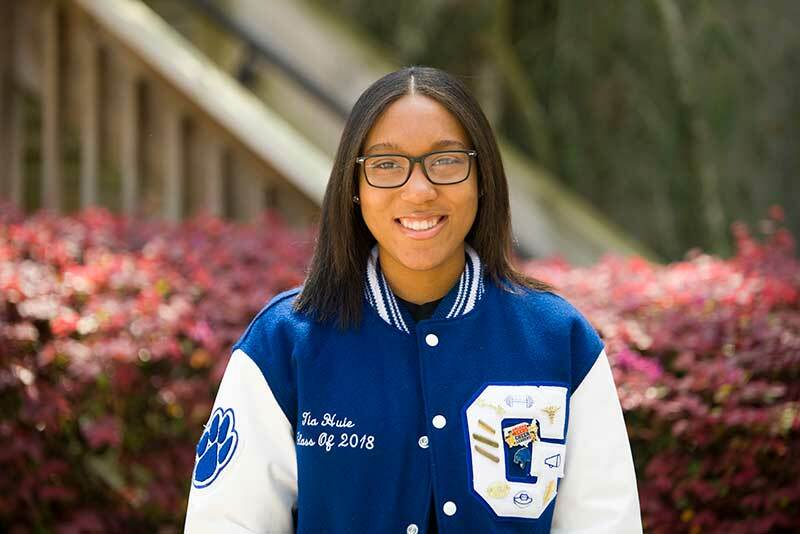 Tia is two-time recipient of the MLK Dreamer and Doer Award. Photos courtesy of Tia Huie.